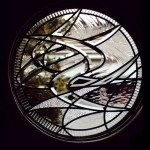 As glass artist, I design beautiful beveled, leaded, and stained glass doors, windows and all types of glass for architecture. 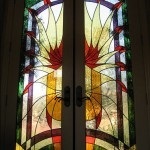 I make award-winning stained glass screen that has been shipped all over the country. My artwork was featured in the book Creative Stained Glass, Lark Books, Sterling Publishing Co. Inc., New York, NY and The Guild Sourcebook of Residential Art 5, Guild Sourcebooks, Madison, WI. I have been published in magazines from coast to coast, from the Malibu Times to The Washington Post.